Great article. Glad it didn't pan out. 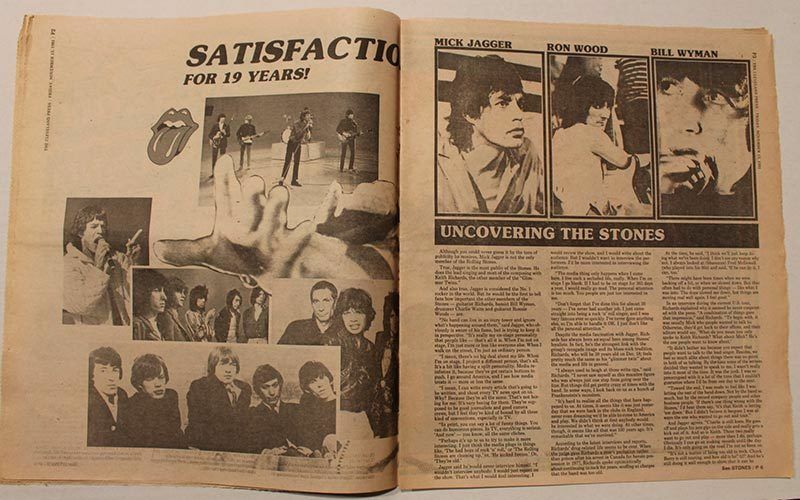 Instead, we got one of the most definitive Stones documents ever from Hampton Roads. Yeah, it was a good read. The New York City club show was news to me. From different articles I read, it seems like Hampton wasn't on the original schedule and added later. 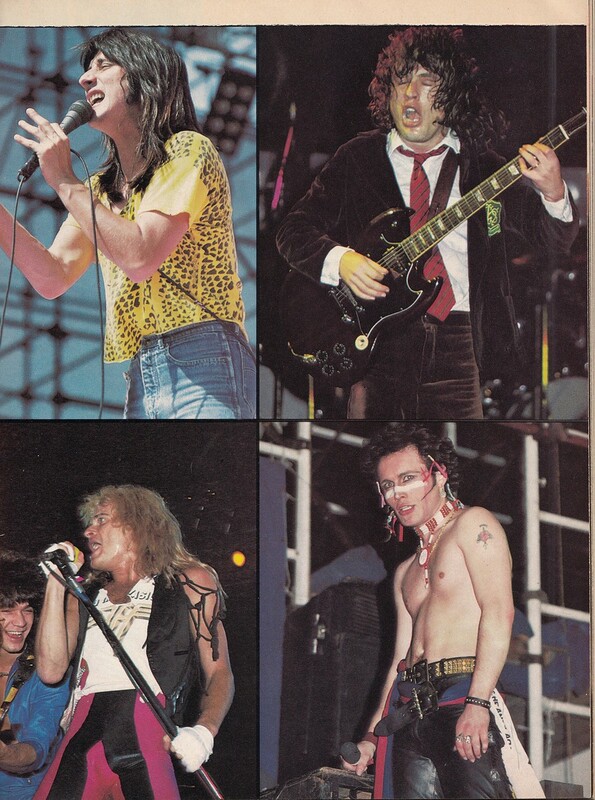 According to Wyman the Hampton PPV was solely a Mick affair, and the band apparently didn't know about it until they arrived at the venue. i'm wondering if there is conflation between two stories here. 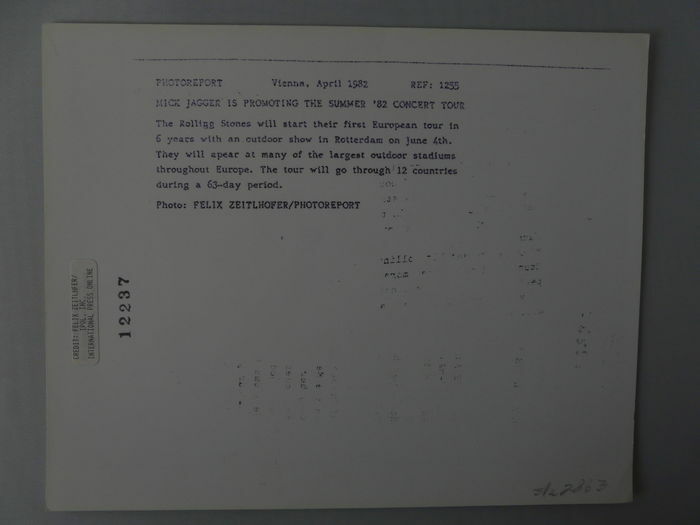 the '78 tour movie was suppose to be a closed circuit broadcast in U.S. theaters. 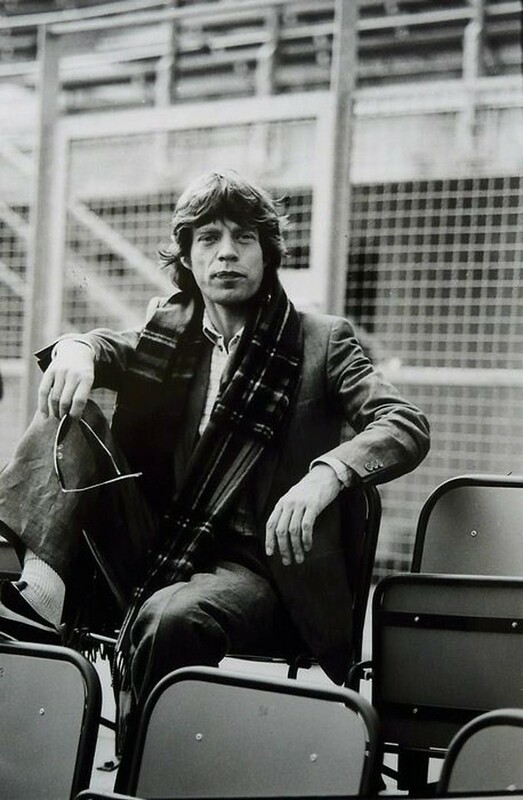 but the stones (mick?) thought the film made them look old. the '81 PPV was over a fairly new pay cable channel (On TV?). 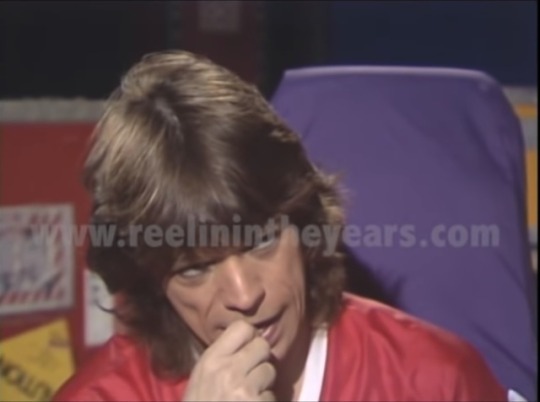 bill graham told them of the offer and mick said "yeah, okay sure, i guess". that was about all of the thought process that went into it. i think the offer came in december. then backstage during the opening set woody said "why do i feel like millions of people are watching?" to secure subscribers. 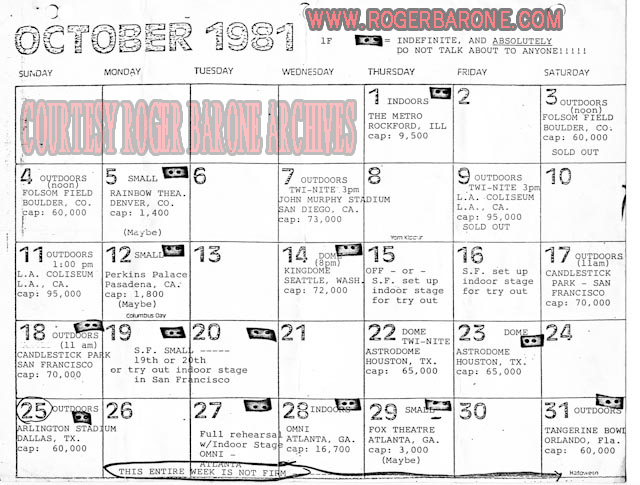 I think at that point this date - the 18th - was the last scheduled show of the tour. 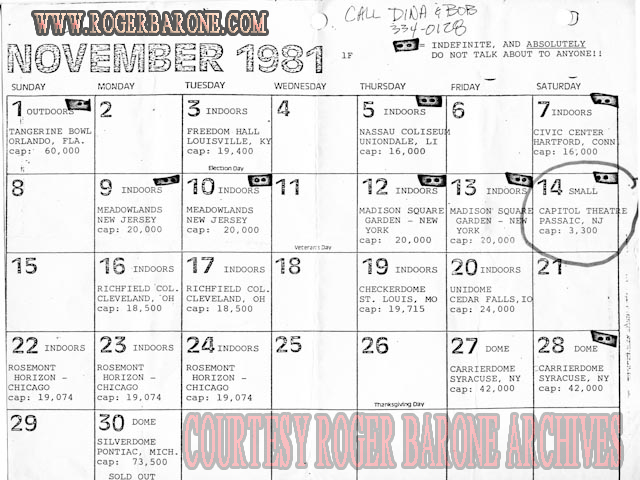 Then at some point the show on the 19th was added - which was the actual last show of the 1981 tour. My question is, when was Hampton added to the tour? The many news articles and t-shirts from the tour don't have Hampton listed. Edited 1 time(s). Last edit at 2019-03-23 12:39 by exilestones. 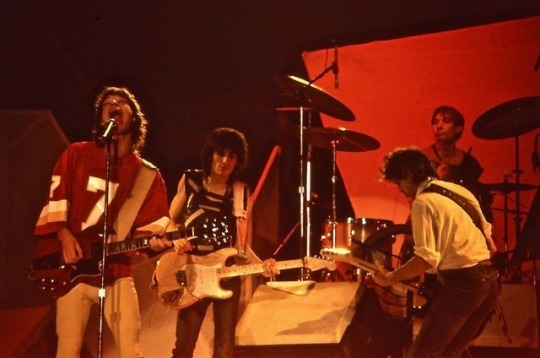 The announcement came over the radio in the middle of the night that tickets would go on sale that same night for the long-anticipated Washington, D.C., Rolling Stones concerts. Everyone knew the Stones were coming to the Capital Centre, but just didn't know when the coveted tickets would be available. 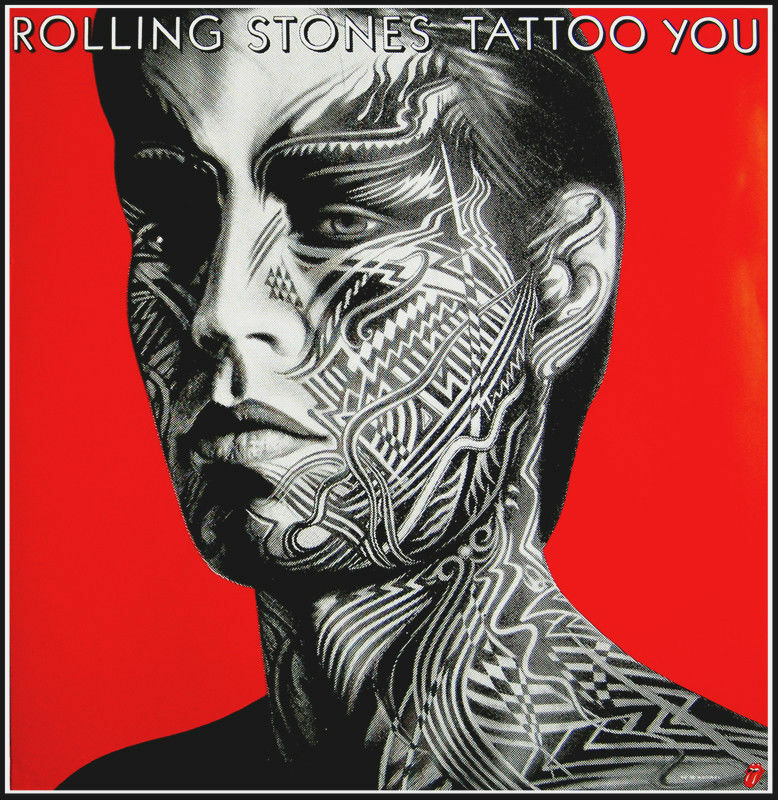 The Rolling Stones will have three shows in Washington: Dec. 7, 8 and 9. The news came over the radio to rock 'n' roll fans winding up a Saturday night of partying, driving their dates home from the movies, getting off their shifts at fast-food restaurants or just drifting off to sleep. By 2 a.m., when the tickets actually went on sale, the vast parking lot at the Capital Centre was host to a bevy of cars emptying frenzied fans, clutching sweaters or draped in blankets, into the cold, windy dark. Officials said 2,000 people were waiting for tickets when the ticket windows opened. Some had arrived as early as Friday, after hearing rumors that the tickets would go on sale sometime over the weekend. By 4 a.m. yesterday the crowd was estimated at 4,000. And within 12 hours, the three shows (with nearly 20,000 seats apiece) were sold out. 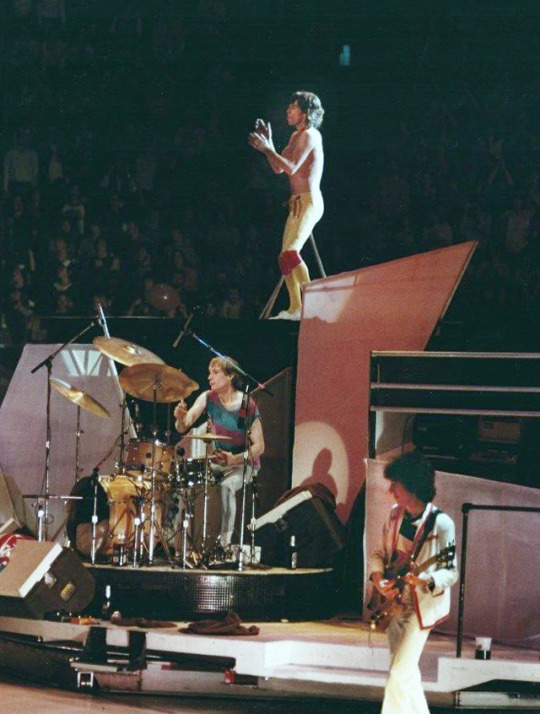 The Washington dates complete the Stones' first tour of the United States in three years. The tour began on Sept. 25 in Philadelphia, where the 90,000 seats available for two shows at JFK Stadium were sold out in less than 24 hours. 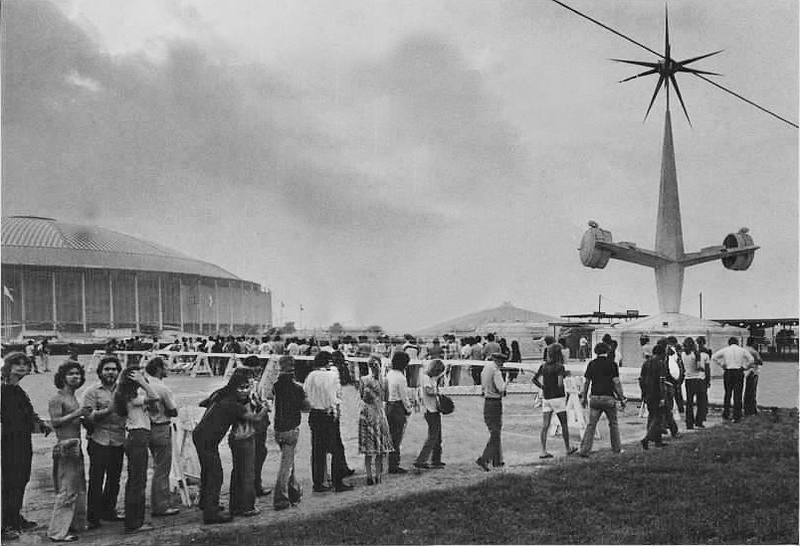 In the light of the huge Capital Centre arena, the crowd mobbed the ticket portals. 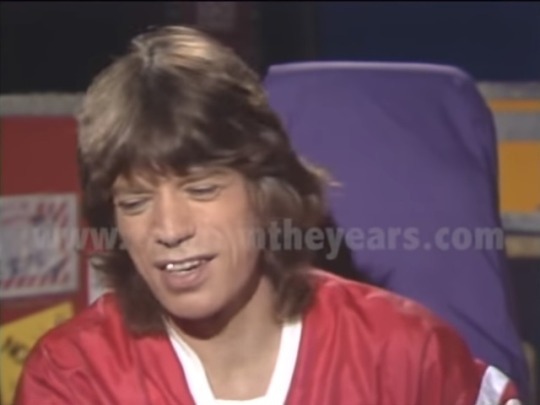 But the fans (many of whom must have been very young when Mick Jagger started singing "Jumpin' Jack Flash") quickly overcame the initial confusion over which line was for tickets and which for the necessary green voucher with your number on it. 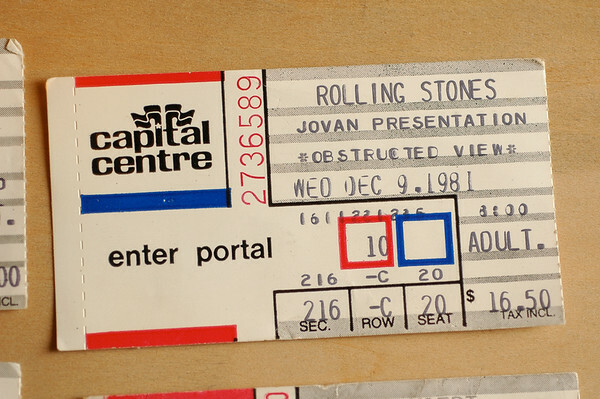 Getting tickets to see the Rolling Stones was turning out to be an experience rather like going to the bakery. When you got your number (meaning you could buy four tickets at $17.50 a shot if you could find $70 at 2 o'clock in the morning) you also mysteriously had your hand stamped "CONFIDENTIAL." 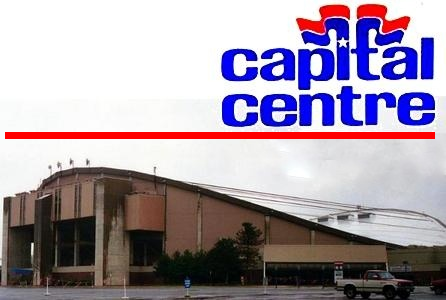 At the Cap Centre officials' insistence the fans formed an unusually orderly single line and waited patiently for their numbers. Well, most were patient. "Hey," said one blond teen-age girl through chattering teeth (she had just finished work at the Red Lobster and hadn't had time to change out of her uniform or grab a coat). "Do you know someone here in line?" This to a guy who was trying to casually work his way into a better line position. Those already in line around the pair looked accusingly at the usurper. "But I was here before," he protested faintly, then moved sheepishly off to the end of the line coiling around beneath the red, white and blue Liberty Bell gate marker. "Anyone want to buy a voucher?" called out one youth. "Guaranteed you get tickets. Just five bucks." He, too, was shunned. The teen-agers appeared disgusted with someone who would disturb their order of civilization. After the line for the vouchers came the vigil for tickets, with the cold, sleepy crowd huddling together for warmth. "Hey man, I'll give you two tickets for that hat if you give me your voucher, too," offered a curly-haired youth. "Tickets? You have tickets already?" "Yeah, my old man knew somebody at the Capital Centre." 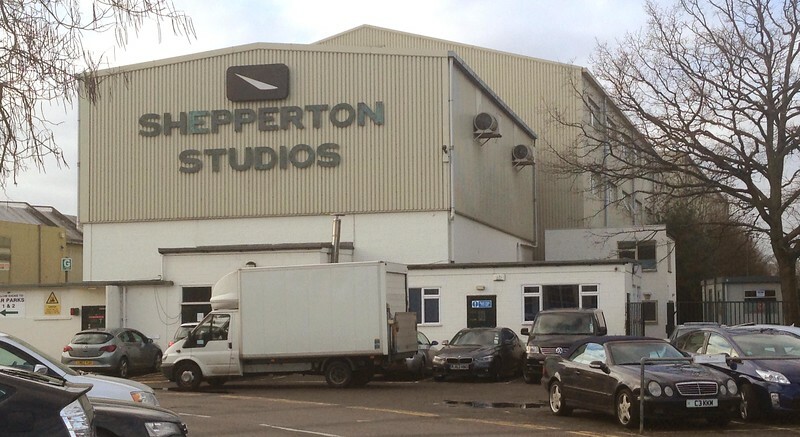 Offer considered, reluctantly refused. There was sentimental attachment to the hat. "Wait a minute. If you've got tickets, why are you standing here?" "Oh, I'm just hanging out," he replied offhandedly. Another boy, tall with freckles and glasses, grinned. "I just saw Woodstock on HBO, man," he said. "This is like that -- all those people coming together . . . "
"How old were you when Woodstock happened?" asked a cynical observer. 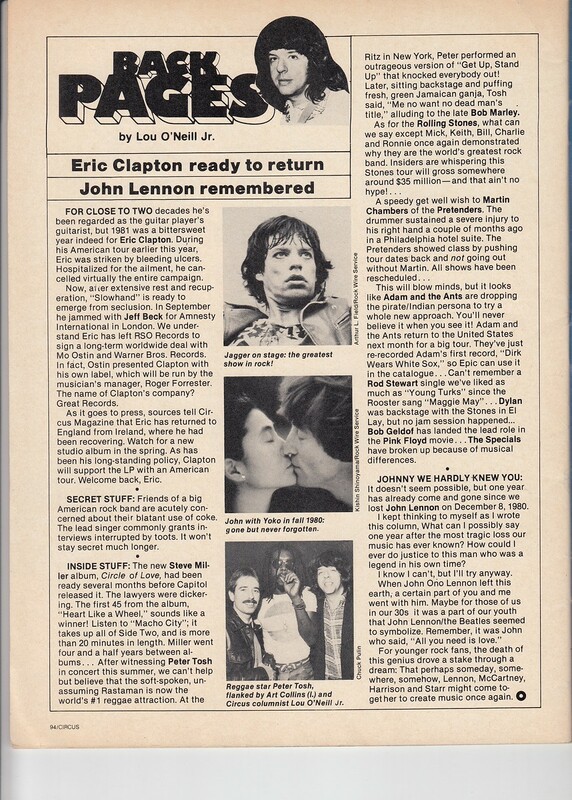 "The Washington dates complete the Stones' first tour of the United States in three years. The tour began on Sept. 25 in Philadelphia, where the 90,000 seats available for two shows at JFK Stadium were sold out in less than 24 hours." 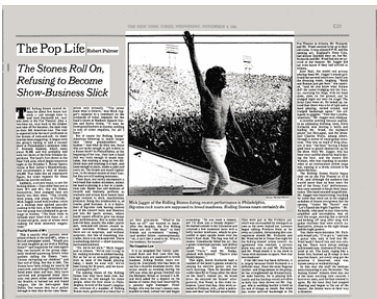 The above article from the Washington Post, a well respected newspaper, wrote about the Rolling Stones Washington DC shows completing the Stones 1981 USA tour. I have no doubt the Post gave accurate information in this article published on November 23, 1981 was accurate. The Hampton shows apparently weren't announced yet. Edited 2 time(s). Last edit at 2019-04-07 22:32 by exilestones. 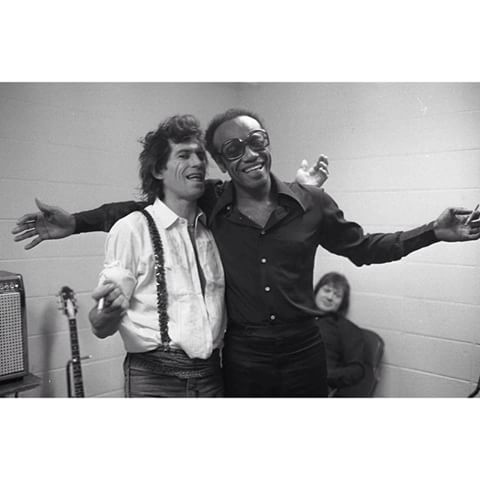 Keith and Bobby Womack belt out a song before a show in DC. photos are by a special contribution by House Boy Knows! Edited 2 time(s). Last edit at 2019-03-27 00:56 by exilestones. Edited 3 time(s). Last edit at 2019-03-27 01:02 by exilestones. 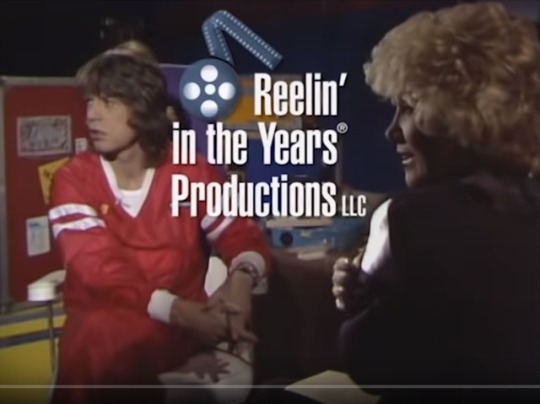 THE Rolling Stones visited Atlanta for about five hours last week - just enough time to land their chartered jet, race into town to the Fox Theater, play a two-hour set, race back to the airport and take off for Houston, the next stop on their 1981 American tour. The tour is expected to be the most profitable in the history of rock-and roll; its sheer size has been staggering. It began with the group's having to add a second show in Philadelphia's immense John F. Kennedy Stadium, which seats about 92,000, and will probably end with two shows at the New Orleans Superdome. 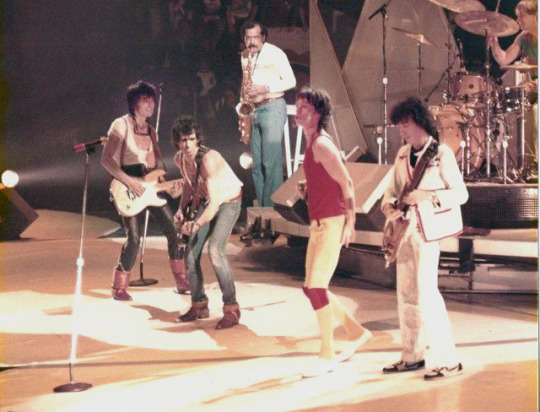 The band's five shows in the New York area, which begin tomorrow night at the Brendan T. Byrne Sports Arena in New Jersey's Meadowlands, will accommodate a total of nearly 150,000. That looks like an impressive figure, but ticket requests for these shows ran into the millions. 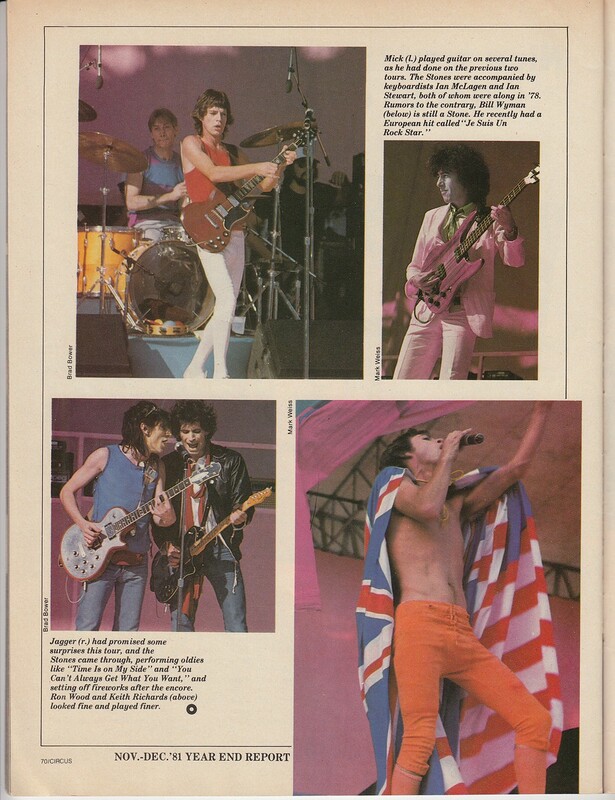 But of course the Rolling Stones' American following is much larger than ''three grandmothers in Queens.'' 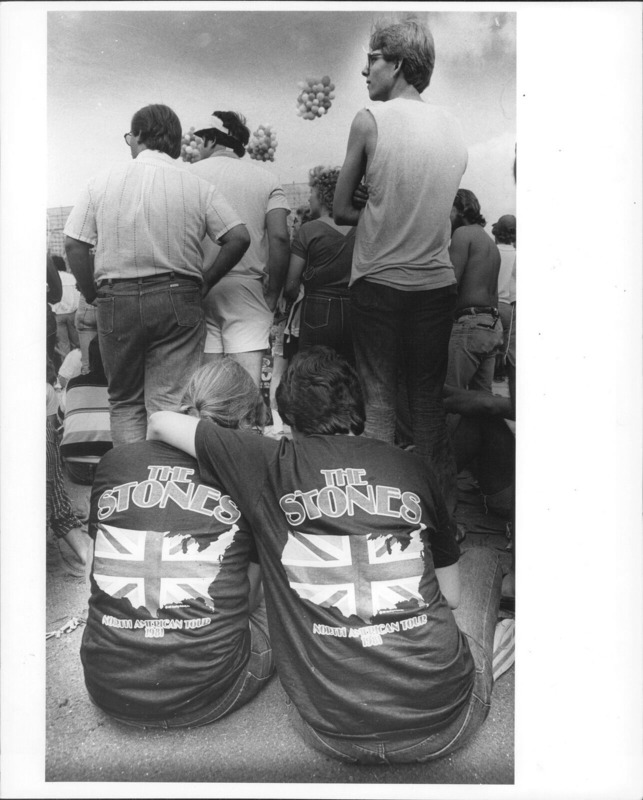 And what do they see, those who are lucky enough to get tickets to a Stones show? In Philadelphia, at the beginning of the tour, they saw a band that was rusty enough to make mistakes, like starting a song in two different keys and crashing to a halt, and loose enough to smile, make a joke and carry on. The Stones are much tighter now, in the second month of their tour, but they are still making mistakes. These days, one rarely encounters a rock band that makes mistakes, unless the band is playing in a bar or a punk-rock club. Bands that sell millions of records and routinely perform in stadiums and arenas have honed their stage routines to slick, machinelike precision. Being this predictable is, of course, good business. It is a byproduct of big-time rock having moved out of the concert halls and theaters and into the sports arenas, where bands cannot afford to give too many poor performances. But to some rock-and-roll fans, usually the older, purist sort, rock-and-roll shows should include mistakes. Without mistakes, there are no surprises, and without surprises, this line of reasoning concludes, there is no rock-androll. There is something inferior - show business, mere entertainment. 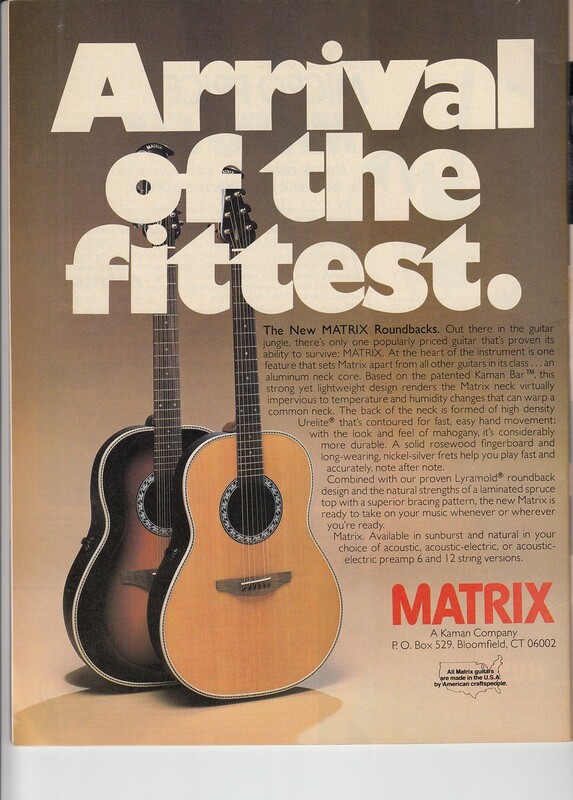 That night, Keith Richards kept a number of the hotel's guests awake by playing his electric guitar into the early morning. Then he decided that rather than fly to Texas after the show on the band's rented jet, he would drive. He enlisted the Stones' other guitarist, Ron Wood, in this risky enterprise. Later that day, they were arrested in Fordyce, Ark., after a policeman saw their car fishtail uncertainly. They were put in the Fordyce jail, which was surrounded by teenagers as soon as the news leaked out. 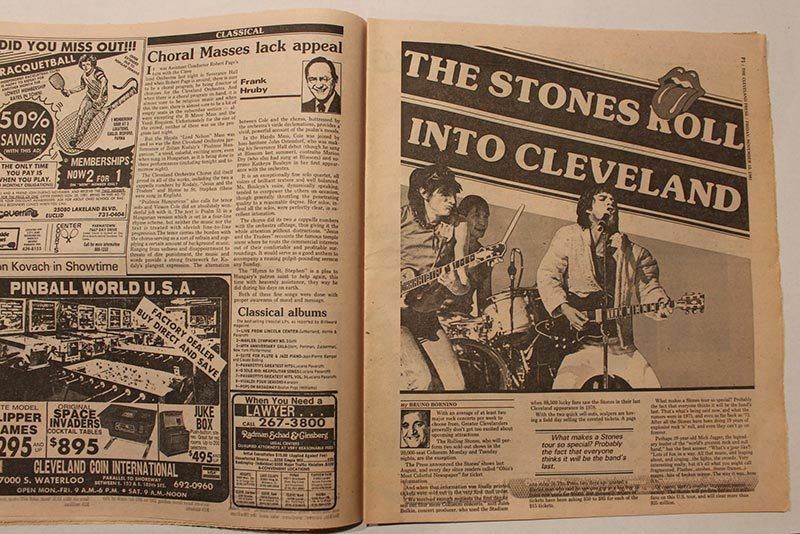 Lawyers began calling Fordyce from as far away as London, threatening dire consequences should Mr. Richards and Mr. Wood not be in Texas that night for the Rolling Stones' arena concert. An agreement was reached, a private plane was sent in and Mr. Richards and Mr. Wood made it to the show in Texas with minutes to spare. Now that was madness! 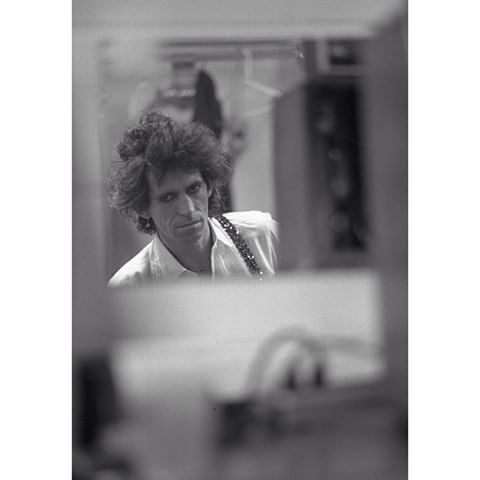 If the 1981 tour has been different, it is largely because Keith Richards is a different man. Once the most flagrant alcohol- and drug-abuser in the group, he has straightened up dramatically. 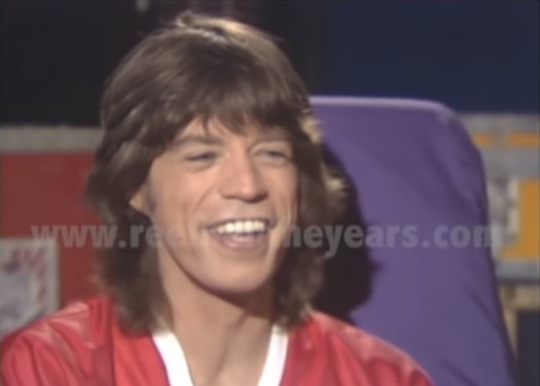 He looks healthy, he is playing brilliantly and his backup vocals are often so lusty that they drown out Mr. Jagger, who is working harder to hold up his end of things as result. 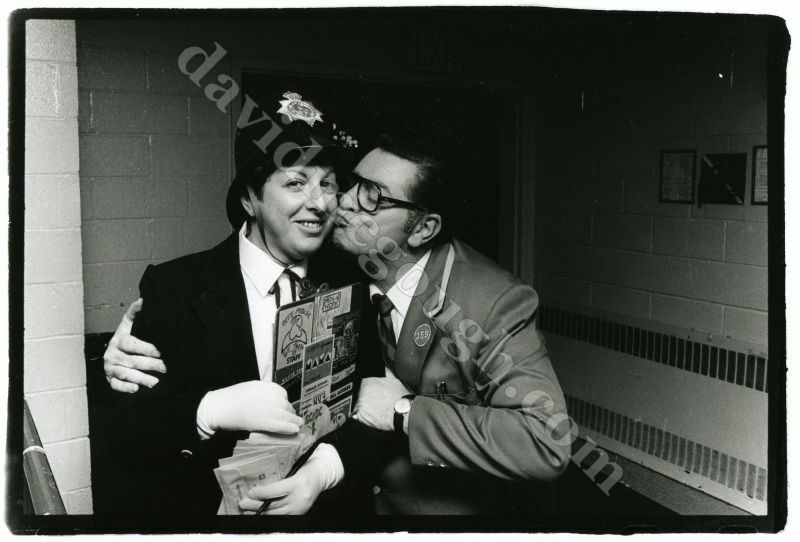 But when this writer arrived backstage at the Fox Theater in Atlanta, Mr. Richards and Mr. Wood seemed to be up to their old tricks. It was almost 9 P.M. and the opening act, England's Stray Cats, had almost finished their set, but Mr. Richards and Mr. Wood had not yet arrived at the theater. 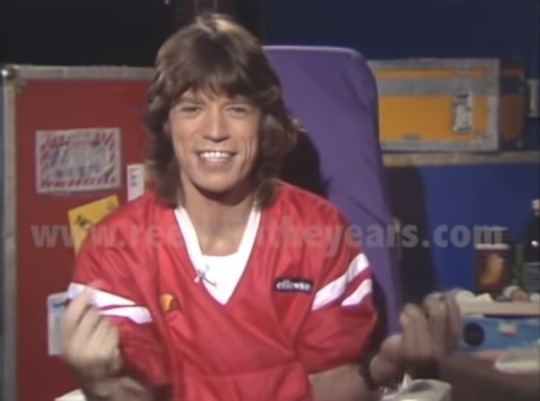 Mr. Jagger did not even know if they had arrived in Atlanta. 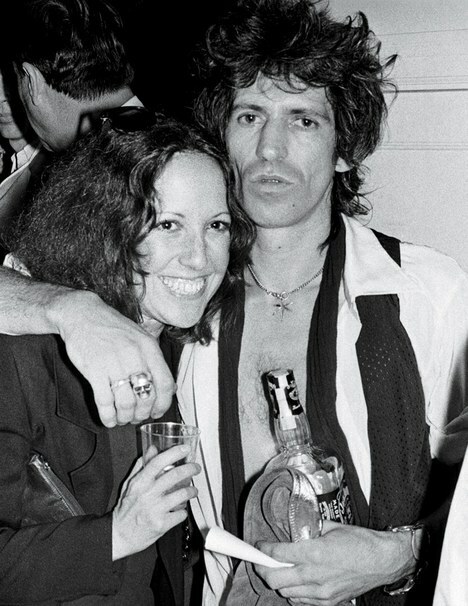 Jerri Hall, the model and actress who has been Mr. Jagger's steady girlfriend for several years now, burst into the dressing room, laughing. ''Keith and Ronnie just got here,'' she reported, ''and do you know what Ronnie did? He came trudging into the theater, carrying his bags, with his head down, eyes on the ground, and he trudged right out onto the stage! The Stray Cats were on. He looked up, noticed that there was a lot of light and a band playing, turned around, and trudged backstage again.'' She collapsed in giggles. 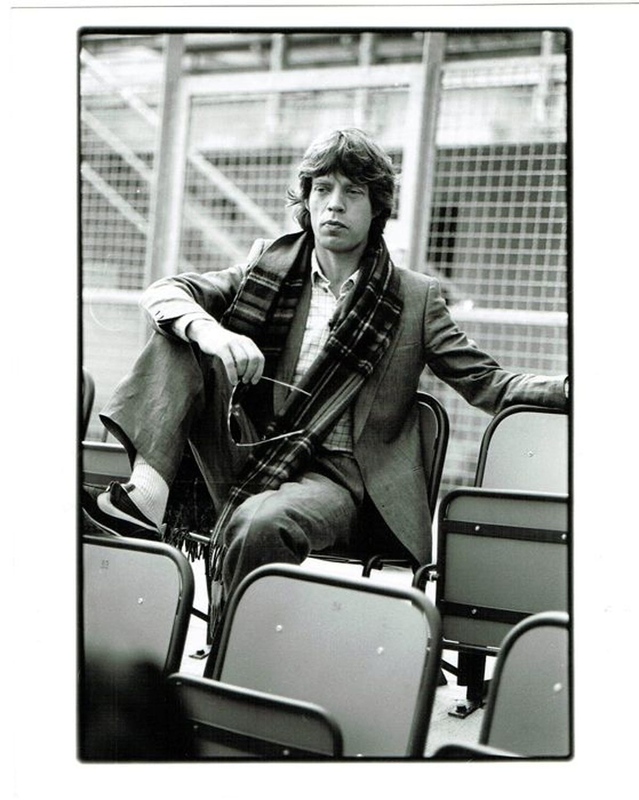 ''Now that's professionalism,'' Mr. Jagger said, deadpan. A terrible yowling became audible. 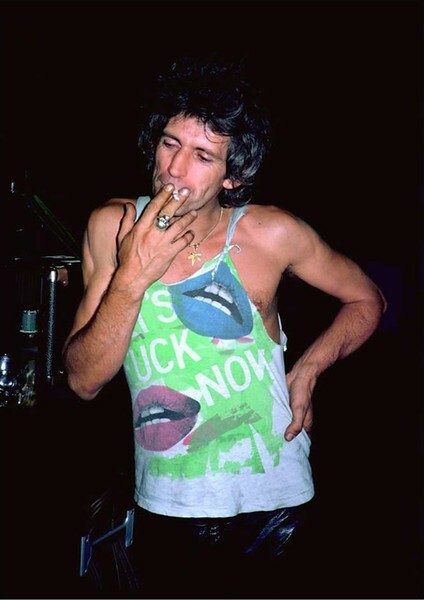 In an adjoining dressing room, Keith Richards was waving a bottle and leading Mr. Wood, the keyboard player Ian McLagan, and the drummer Charlie Watts, among others, through a series of vocal-group imitations. This was no band of drug abusers; it was ''the boys'' having a boozy good time to psych themselves up for the show. 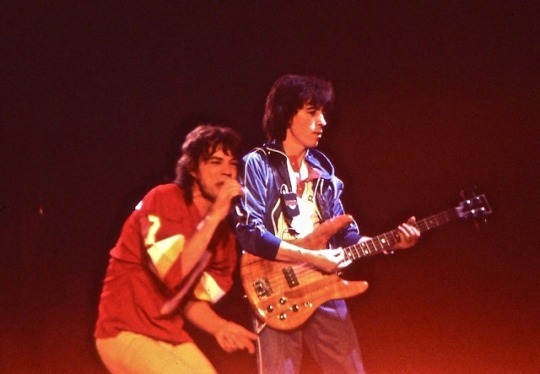 Only Mr. Jagger, who has been very careful about his health during the tour, and the bassist Bill Wyman, who was standing in another room in an immaculate yellow stage suit, sipping at a drink, seemed to be above the fray. 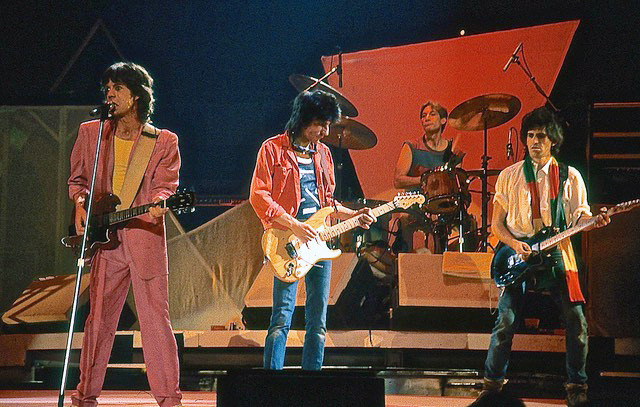 The Rolling Stones finally began their set at the Fox Theater at 10:35 P.M., and although the audience had waited more than an hour since the end of the Stray Cats' performance, they soon seemed to forget their impatience. The band sounded magnificent. 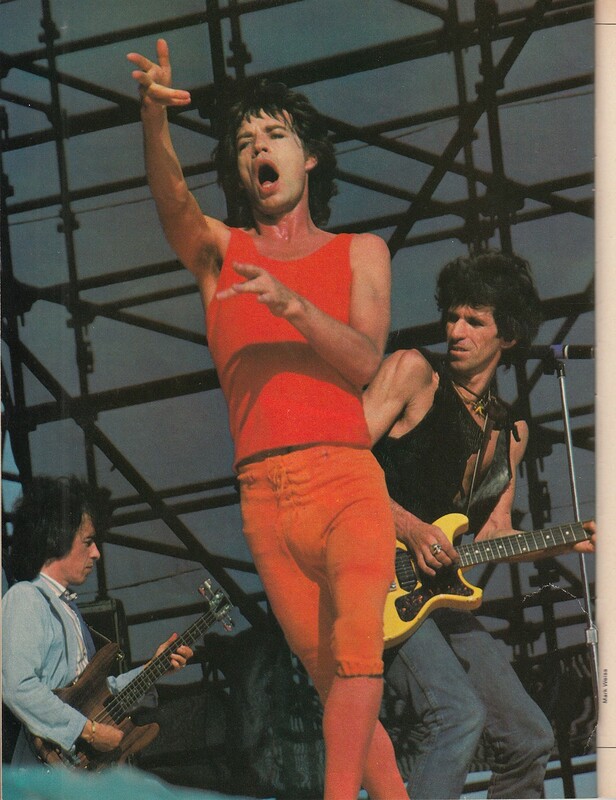 Mr. Jagger was improvising, reaching for notes that were not in the original melodies of Stones evergreens like the opening ''Under My Thumb'' and ''Let's Spend the Night Together.'' Mr. Richards, who used to stay close to his amplifier and microphone, was all over the stage, moving like a dervish and kicking off song after song with guitar rhythms that were utterly authoritative, always in the right tempo and the right groove. Yes, there were mistakes. Mr. Richards would yell, ''I've got it,'' and take a guitar solo, only to find that Mr. Wood hadn't heard him and was soloing too. There were abrupt endings and missed cues. And none of this mattered at all. The band, raging like a forest fire, burned up 26 songs in less than two hours, yet every song got the attention it deserved; none was thrown away or walked through. So this was the stuff the millions were clamoring to see. No wonder. The Rolling Stones' Atlanta show was one of the most exciting rock concerts I have ever seen, and the fans seemed to agree. 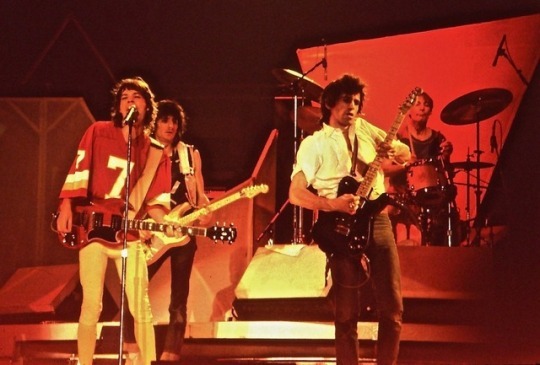 By the time they had stopped cheering and begun to file out of the theater, the Stones were on their way to Houston. 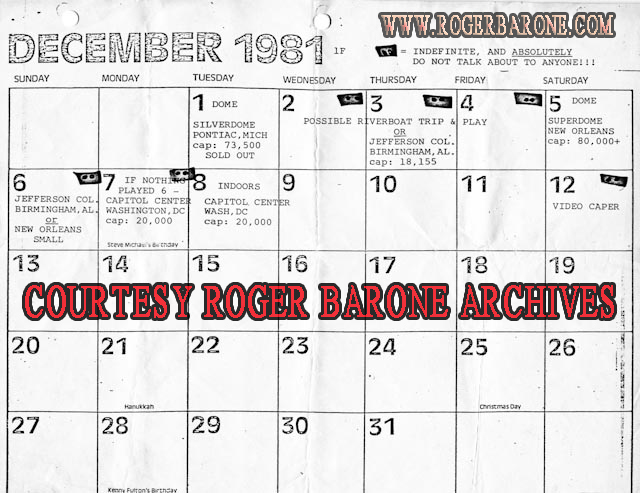 Going by the original itinerary, the dates that were added late are the Lexington, Tempe, Kansas City and Hampton shows. Not sure exactly when they were added but it was def after the tour had started. Both cities are listed in the tour program and the official itineraries (whereas Lexington, Tempe, Kansas City and Hampton aren't). So I'm curious as to why they suddenly got dropped. 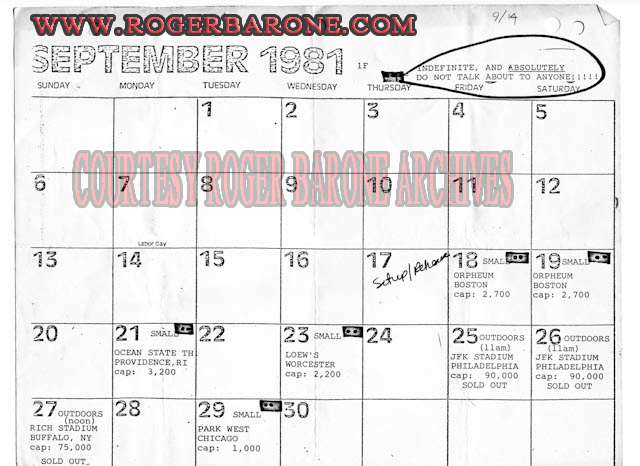 Also, for completists, here is a partial list of some other shows/venues the Stones looked at for the 1981 tour that never happened and/or were moved to another venue (pardon if they've already been listed here. I'll link the sources later). FYI: the first four intended to happen after Sir Morgan's Cove but while the band were still in the New England-area. I'll try to find the other sources I got these from later. Edited 4 time(s). Last edit at 2019-03-27 05:29 by stevecardi. These are the images that stevecardi posted the links to above. And thank you for this killer thread, and keeping it alive! 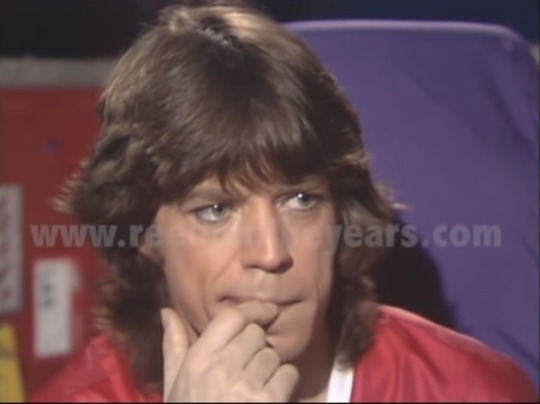 Mick Jagger, in Vienna promoting the Rolling Stones tour, 1982 wire voor promoten van de Rolling Stones tour. 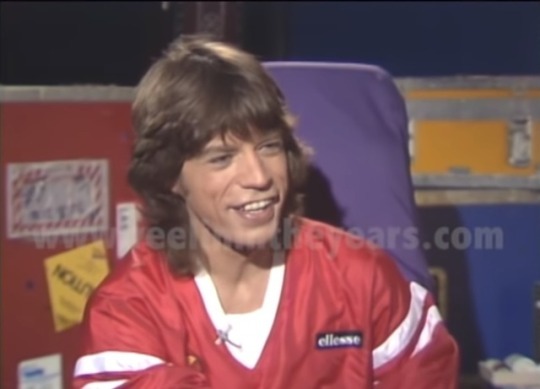 conferences in London, Vienna, Munich and Paris announcing the Rolling Stones' 1982 European Tour." Edited 2 time(s). Last edit at 2019-03-31 20:03 by exilestones. the first interview with Rock Hudson since his open- heart surgery. principal celebrity interviewer, Barbara Walters .
" Besides," Jagger added, " my astrologer said it would be propitious." close friend, John Lennon, a year after his death. Edited 1 time(s). Last edit at 2019-04-02 01:10 by exilestones. Edited 1 time(s). Last edit at 2019-04-08 18:22 by exilestones. RELEASE DATES: WHEN OLD IS AS GOOD AS NEW - DO FANS CARE WHEN SONGS WERE RECORDED? 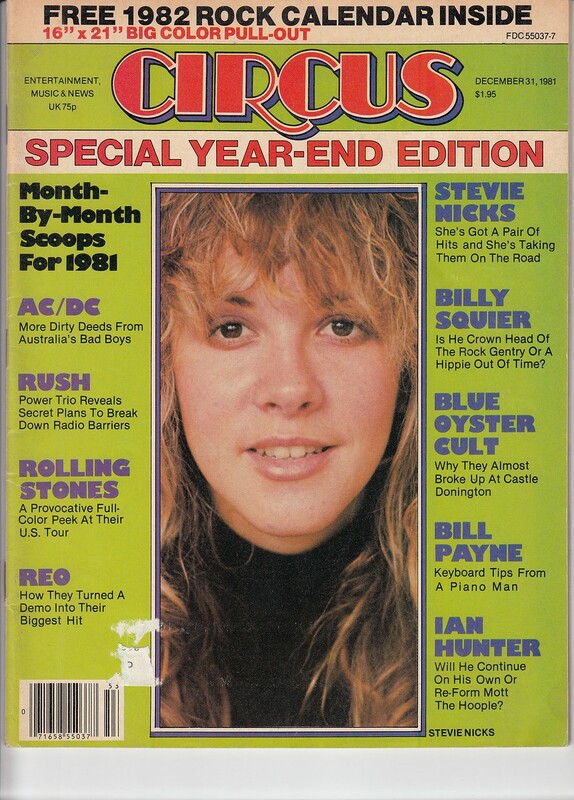 Author/Byline: Fred Shuster Daily News Music WriterEdition: ValleySection: L.A.
old material is passed off as new. 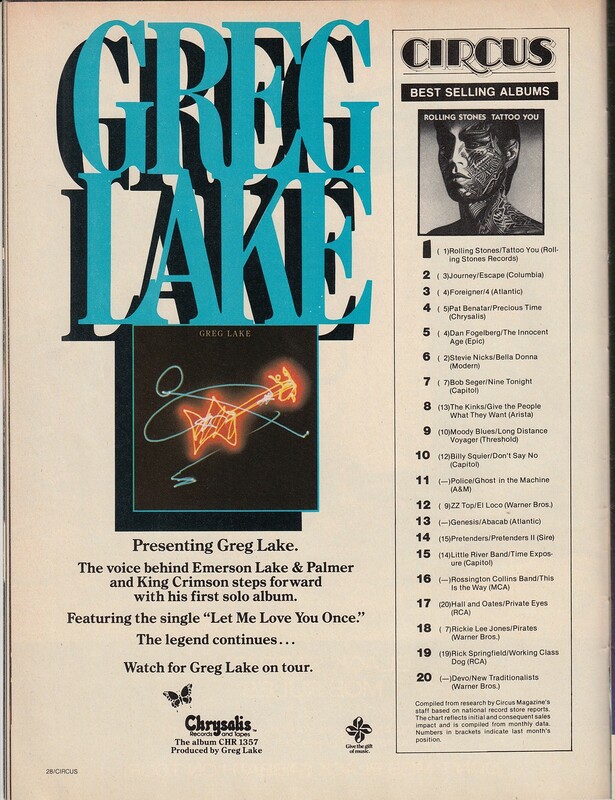 considerations are overshadowed by the perceived value of new-old tracks. progressed doesn't mean what they did in the past was not valid." long as the decision was made by the artist and not extraneous forces. the very latest music from an artist. make it onto previous albums." even interesting on it. It should never have come out." said ticket sales are limited to 10 per person. Edited 1 time(s). Last edit at 2019-04-07 22:35 by exilestones. 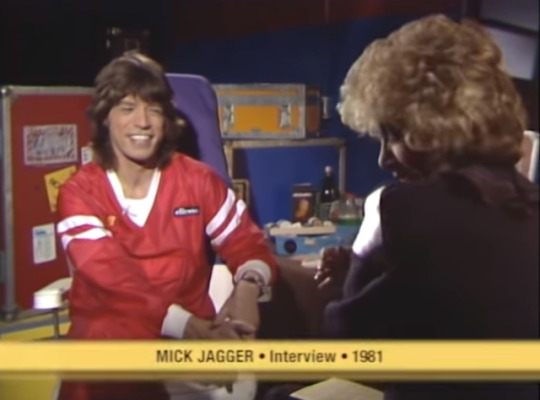 an article about the Rona Barrett - Mick jagger interview. Two days later Jordy Licks post the long lost video. 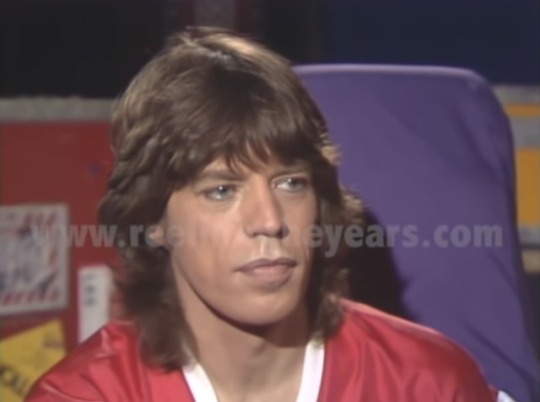 This is a great interview from Mick during the '81 tour that was just posted on YouTube, especially what he says when the interview ends in response to his answer to the last question..."You can always edit that last bit." Edited 1 time(s). Last edit at 2019-04-08 00:04 by exilestones. 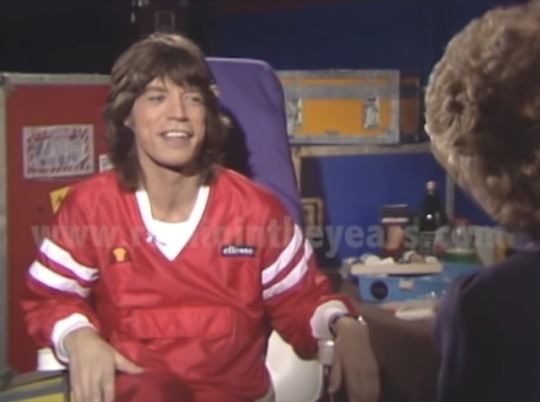 Mick Jagger with American gossip columnist Rona Barrett during an interview in 1981. Edited 1 time(s). Last edit at 2019-04-07 23:13 by exilestones. 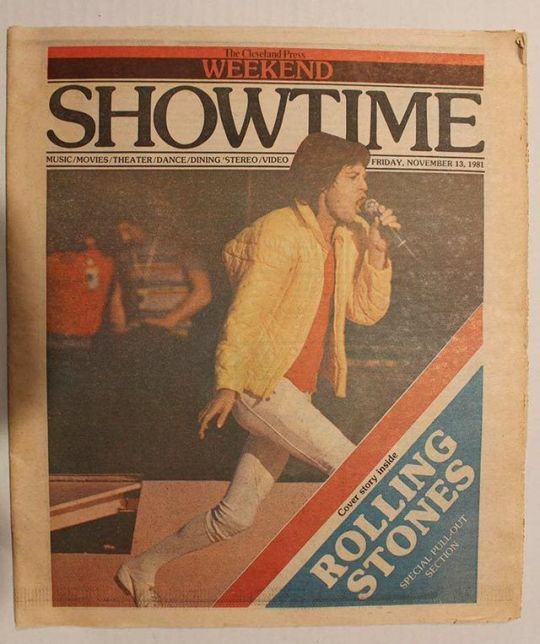 Does anyone have a copy of Time magazine from early in the 81 tour with the Stones review? 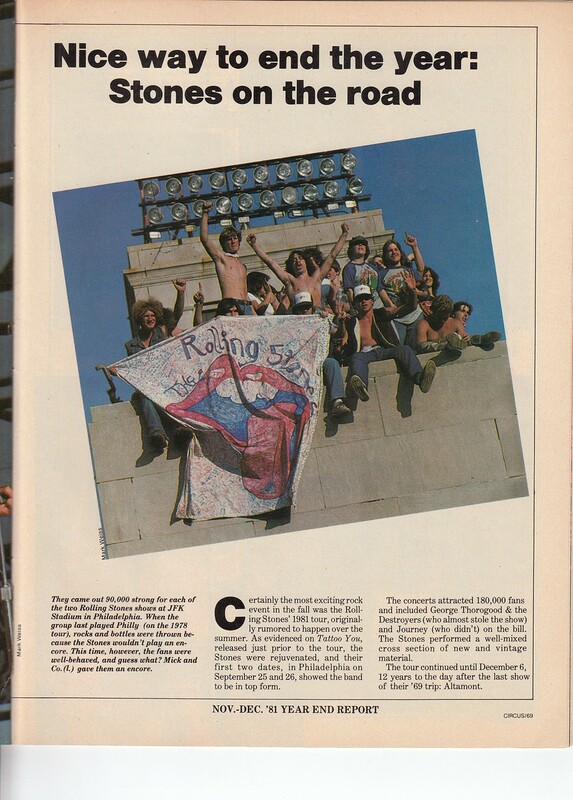 I believe it had pics from the Philly opener as well as from 81.
was NOT at the concert!